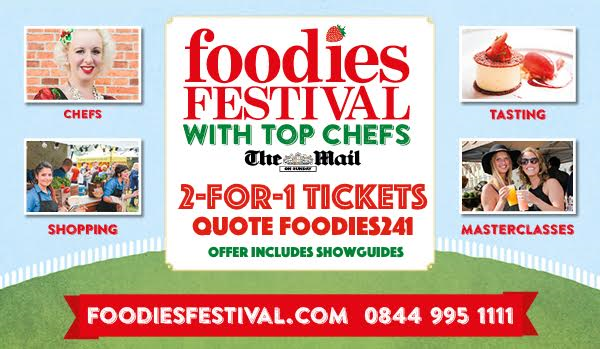 Last year the Foodies Festival got in touch with me to tell me alllll about their big event. Unfortunately it got to the weekend and I was really ill so couldn't attend. Imagine my delight when they got back in touch to see if I wanted to get involved with the 2016! Hoooorah! 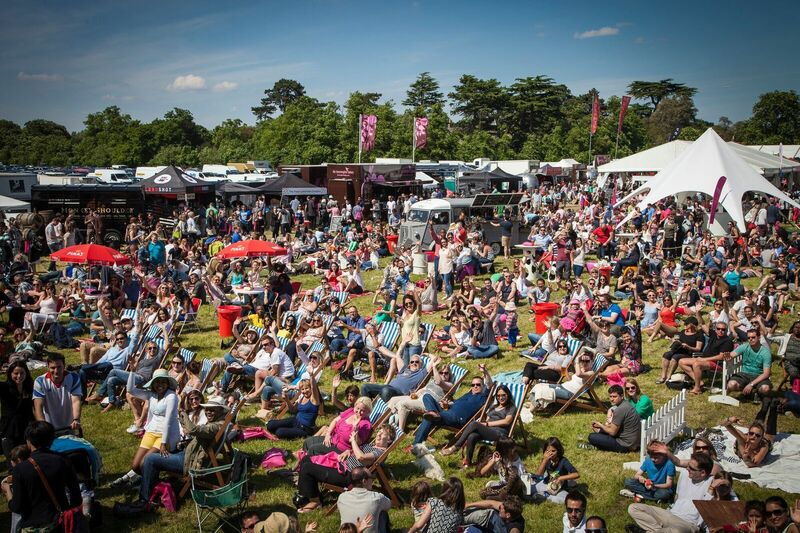 Foodies Festival is the UK's biggest celebration of food and drink and it's returning this Summer! I'm heading over to the Birmingham event at Cannon Hill Park, 3rd - 5th June for a day of eating, learning and *hopefully* enjoying the sunshine. There's ALL SORTS to see, do and, most importantly, eat on the day! Visitors can enjoy a new 'Feel Good Foods' theme at Foodies Festival this summer, with healthy living chefs and food writers joining the line-up to cook with superfoods including kefir, lucuma, freekeh, kelp and banana flour, and sirt rich foods such as blueberries, kale, celery, buckwheat, turmeric, chilli and red onion. Festival-goers can also discover the advantages of eating ‘Feel Good Foods’ such as cheese (a source of phenylethylamie - the love drug) and dark chocolate and seaweed (both sources of serotonin - the happy drug) as experts promote their nutritional and emotional benefits with energy, happiness and calm boosting recipes available to take home. Bake-Off winner Nadiya joins baking extraordinaire Charlotte White and master chocolatier Fiona Sciolti on the Cake & Bake stage, working their baking wizardry to inspire visitors to reach for their whips and spatulas at home and create show-stopping cakes and delicious summer bakes. A neighbouring Chocolate, Cake and Bake Village sells freshly baked breads, sponges, tarts, jellies and trifles to enjoy with a bubble tea or fresh juice. Afternoon tea can be enjoyed in the beautifully decorated Vintage Tea Room, where teas, handmade cakes and scones with clotted cream and jam are served on china from a tea trolley by vintage styled tea ladies and gentlemen, and vintage music for ambience. With flavours from all corners of the world available on the Street Food Avenue, hunger will be banished and taste buds tingled with the huge array of cuisines on offer. Japanese, Thai, Malaysian, Argentinian, Turkish, Indian, Korean, Mexican, French and African are just some of the flavours to feast on this summer. Visitors can test their taste buds with blindfolded whisky challenges, where they will have to taste and smell to try and identify ingredients and country of origin. These classes are also a great opportunity for novices to learn about whisky and its history. Festival goers can munch their way into the depths of the jungle this summer with a trip to the Vietnamese Street Food stand, where those with a taste for the exotic can indulge in insects, including grasshoppers, caterpillars, mealworms, beetles, scorpions, locus and ants. These tasty critters will also be sold in powder and flour form – a high source of protein - to bake, season and cook with. For those brave enough, there’s a daily Bush Tucker Trial on the Challenge Stage, where visitors compete against one another by eating jungle insects, from small ants to large juicy grubs, with the contestant eating the biggest and the most being crowned champion. The famous Chilli-Eating Challenge continues in 2016, inviting fans of spice to beat an eye-watering 16 million scoville record set by Shahina Waseem last year. Participants start at the low end of the chilli spectrum by eating bell peppers, but things quickly get a lot hotter with Habanero, Scotch and Carolina Reaper (world's hottest chilli) chillies being added to the menu. Those still standing are then inflicted to pure chilli extract, increasing in strength, until a winner is crowned. After a day of feasting and fun, visitors can relax and soak in the atmosphere with live music from the Entertainment Stage and a glass of bubbly or refreshing cocktail from the Giant Pimm's Teapot or double-decker BarBus. I mean, you've got to admit - this sounds like a bloomin' good event! I'm really, really excited to get over there and check it out. Want to go along too? I've got a pair of free tickets to giveaway for the Birmingham dates - you can attend any of the three days, up to you! To get involved I want you to tell me on Twitter (@Natasha_uc) which of the above you're most looking forward to and to RT my ticket giveaway tweet. The winner will be picked at random on May 3rd 2016 at 10am.